I am writing in response to the most recent iteration of Autism NJ’s disregard for music therapy as a treatment option for individuals with an Autism Spectrum Disorder (ASD). Namely, Autism NJ suggested language revisions for the proposed amendment to the New Jersey Medicaid (Title XIX) State Plan to include Autism Spectrum Disorder (ASD) related services for EPSDT (Early and Periodic Screening, Diagnostic and Treatment) eligible individuals that only included ABA and related services, but specifically excluded music therapy. We believe this to be a short-sighted perspective, and a disservice to New Jerseyans on the spectrum and their families. ASD is widely recognized as a neurodevelopmental disorder (Doernberg, & Hollander, 2016; Rapin & Dunn, 2003; Santangelo & Isatsanis, 2005) that has an effect beyond observable behaviors. To state that ABA is the only treatment that should be used ignores possible sources of these manifested behaviors, as well as treatment options that go beyond imposing behavioral norms. In addition, to claim ABA is the only recommended treatment option because it has the consensus of the scientific community is also an overstatement. Furthermore, to imply that ABA is the superior intervention for individuals with ASD completely ignores trends in ASD research and clinical practice. More recent interventions for ASD are being delivered in naturalistic and socially interactive contexts involving child- directed strategies (Shreibman et al. 2015; Dawson et al., 2010; Green et al., 2010; Prizant & Wetherby, 2005). These approaches have been coined Naturalistic Developmental Behavioral Interventions (NDBI) and, in fact, have been classified as an evidence-based practice for children with ASD (Wong et al., 2015). Moreover, the National Autism Center completed an unprecedented multi-year project — the National Standards Project —to determine standards for evidence practice for children with ASD, in which, they too, identify NDBI as evidence-based practice (2009). Although ABA was popular with parents of children with autism in the 1980s as a viable treatment for ASD, current trends in research have shown that highly structured interventions such as ABA, while effective in teaching skills, (Schreibman, 2005) also led to failure to generalize newly learned skills across multiple environments and contexts, lack of spontaneity, and over dependence on prompts (Schreibman et al., 2015). Advances in the developmental sciences have shifted the treatment paradigm for ASD to more naturalistic developmental programs in which interventionists are incorporating strategies to promote affective engagement and attunement as a means to foster social communication skills within a relational context (Green at al., 2017; Schreibman et al., 2015; Solomon et al., 2014; Casenhiser et al., 2013; Dawson et al., 2010; Ingersol, 2008; Prizant et al., 2003). The findings of Mills & Marchant (2011) in their literature review could lead to a reevaluation of what was once commonly believed. There are very few interventions that have a solid research base. Even those with the strongest evidence base, such as early intensive behavioural intervention, have not necessarily been found to have a universally positive impact. Recent studies have been methodologically stronger, but there are still many weaknesses in the research to date. A second review of literature regarding behaviors deemed “offending” (Ali, 2018) could not even find a clear understanding of the links between ASD and the identified behaviors because of methodological limitations. Furthermore, a purely behavioral approach (e.g. ABA) to ASD may even be detrimental. Kupferstein (2018) examined data from 460 respondents and noted Post Traumatic Stress Symptoms (PTSS) “in nearly half of ABA-exposed participants, while non-exposed controls had a 72 percent chance of being asymptomatic”. In addition, “(e)xposure to ABA predicted a higher rate and more severe PTSS in participants.” Given that adults with ASD can experience stress from trying to fit societal behavior norms (American Psychiatric Association, 2013), focusing solely on behavioral compliance may be injurious to overall health. Music Therapy is unique as a treatment approach, in that it can be adapted to address the multi-system effects of ASD stemming from neurological differences, whether they are socio- emotional, communication, motor, cognitive or behavioral. There is a clear need to address all comorbidities of ASD in interventions (Srinivasan & Bhat, 2013); music therapy is particularly suited to address not only multiple clinical needs, but can be adapted to individual differences within the ASD diagnosis itself. Music therapy can address core behavioral needs associated with ASD, such as motivation, gaining attention, maintaining attention, and emotional expression. When researchers examined the effectiveness of music therapy in comparison to toy play, they found that music therapy was more effective than play at facilitating joint attention behaviors and nonverbal social communication skills (Kim et al.,2008) and exhibited more and longer events of “joy,” “emotional synchronicity,” and “initiation of engagement” (Kim et al., 2009). Music therapy has also been adapted to incorporate with ABA. For example, interventions can be directed toward mand, tact, echoic and intraverbal aspects of verbal behavior (Lim, 2010b, 2011) and provide automatic reinforcement which can increase communication (Lim, 2011). In comparing speech training to music training for the core social communication behavior in individuals with ASD, it was found that while both resulted in improvement for high functioning individuals, music training showed significantly more improvement with lower functioning individuals (Lim, 2010a). The structure and predictability found in music provides a context and vehicle for reciprocal interactions and promotes social engagement from which relationships emerge (Geretsegger et al., 2015; Bruscia, 2014). Furthermore, music has been historically described as a nonverbal medium for communication using parameters such as rhythm, pitch, and dynamics (Kim et al., 2009; Trondalen & Skårderud, 2007;); hence, music may reduce the linguistic burden on children with ASD experiencing essential reciprocal interactions that are critical for early-stage social-emotional development. While children with ASD are generally found to have impaired perception of linguistic and social auditory stimuli (Boddaert et al., 2004), they are also reported to possess either intact or sometimes superior musical perception regarding pitch perception (Bonnel et al., 2003; Heaton, 2005), melody discrimination (Mottron et al., 2000; Applebaum et al., 1979) pitch recall (Heaton et al., 1998), the ability to dis-embed notes within chords (Heaton, 2003), and in improvising melodies (Thaut, 1987). Studies have also indicated that children on the spectrum (CoS) have a strong affinity for musical stimuli when compared to other auditory and visual stimuli (Blackstock, 1978). They also display the ability to understand affective connotations in music (21). Finally, it can be argued that interactive experiences in musical interplay are a nonverbal analogy to real life, where sharing is a part of intersubjective behavior (Malloch & Trevarthen, 2007; Holck, 2004). A multitude of publications over the years have supported the beneficial effect music therapy has on individuals on the spectrum. Through a meta-analysis of 14 randomized controlled trial (RCT) studies with a combined 746 participants, researchers examined use of a variety of approaches, such as ABA, Developmental, Cognitive, music therapy, and combinations of services. They found that while Reciprocal Imitation Training and Symbolic Play along with music therapy had the largest effects, music therapy was the most effective because of the shorter duration and lower intensity of interventions required (Maw & Haga, 2018). In a RCT comparing the effects of music therapy on verbal, nonverbal, and social communication behaviors of children with ASD, researchers reported that participants who received music therapy services had a statistically significant decrease in nonverbal communication scores compared with their control subgroup peers (Gattino et.al. 2011). Further, Rossignol (2009) conducted a study to review and rate the effectiveness of autism treatments that are not FDA-approved. Music therapy was the only one to receive a Grade A rating, indicating it was supported by at least two prospective RCTs or one systematic review. More specifically, music therapy was indicated to lead to improvements in speech and communication, autistic behaviors, eye contact, and attention. Previous evidence suggests that Improvisational Music Therapy (IMT) can be effective at improving the social skills of children with ASD. For example, in a landmark large-scale multi-site randomized control study of IMT (N=364) (TIME-A), Bieleninik and colleagues (2017) found improvement in symptoms related to social interaction as measured by the Social Responsiveness Scale (Constantino & Gruber, 2012). The same study revealed that children who received a minimum of 15 IMT sessions showed significant improvement in Autistic Diagnostic Observation Schedule (ADOS) social affect scores after five months based on an effect size of 1.39 (26,29). In addition, this study found greater improvement in social affect scores in males (boys) that participated in IMT compared to boys in the standard care group. This study also found that the IMT group with low IQ (below 70) performed better in the area of social affect than standard care. Similarly, an existing meta-analysis reported music therapy as more effective than standard care for promoting social interaction, and communication (Geretsegger et al. 2014; Simpson & Keen, 2011). A recent study by Carpente et al. (2019), yielded empirical evidence suggesting children with ASD and minimal verbal skills improved in the area of engagement after participating in IMT. Furthermore, new imaging research found that improved social communication resulting from IMT correlated with changes in connectivity between sensory- motor areas of the brain in CoS (Sharda, 2018). This study suggests that the multi-model nature of IMT may help to entrench multi-modal processes of the brain, thereby improving the communication between and among sensory and motor areas of the brain. Because these areas also are thought to play an important role in engagement and communication, IMT may well represent a way of improving engagement and social communication through a bottom-up process. The Cochrane Collaboration (www.cochrane.org) is an international network of people helping healthcare providers, policy makers, patients, their advocates and caregivers make well-informed decisions about human health care by preparing, updating and promoting the accessibility of systematic reviews of published research. Their primary activity involves review and analysis (pooling data from multiple studies) of the best available clinical research, typically published clinical trials. Findings from qualifying studies on the same topic are synthesized into regularly updated systematic reviews, meta-analyses and meta-syntheses. The results of high-quality systematic reviews and meta-analyses are often considered by many to be the “Gold Standard”, or the authoritative word in the medical conversation on a particular topic. We included 10 studies with a total number of 165 participants. The studies examined the short- and medium-term effect of music therapy interventions (one week to seven months) for children with ASD. Music therapy may help children with ASD to improve their skills in important areas such as social interaction and communication. Music therapy may also contribute to increasing social adaptation skills in children with ASD and to promoting the quality of parent child relationships. Music therapy treatment interventions for ASD often have effects outside the music therapy session and can be long-term. Thompson (2017) produced a descriptive phenomenological analysis of eight mothers’ perspectives of family-centered music therapy (FCMT) four years after participating in a 16-week home-based program. Results revealed five global themes: improvement in mothers’ confidence to engage their child; rare opportunities for mutual mother-child enjoyment; improved child social communication and quality of life; mothers’ new understanding of the child’s interests and strengths; and more opportunities for continuing the child’s interest in music. Autism NJ comments on a perceived lack of evidence-based research for the inclusion of music therapy as a treatment option in their recommendations. We counter that this perception is based on a narrow understanding of what constitutes as “evidence.” It is important to note that “good” research is not delegated solely to that which has a RCT or blind RCT design. The healthcare and government industries recognize that the merit of research is not determined by the design alone, but by the quality of the research process. Ultimately, the design of research is driven by the nature of the research question and the aims of the study. There are also acknowledged difficulties inherent to conducting music therapy research. This is due in part to the complexity of the approach itself. For example, Geretsegger et.al. (2016) examined the difficulties in conducting generalizable, rigorously designed, adequately powered trials investigating music therapy treatment and found that session attendance and consistency in outcome measures were lower than expected even though control conditions, treatment fidelity, measurement completion, blinding, retention, and safety met a priori thresholds for feasibility. That being noted, we are seeing improvements in research quality across the spectrum of research designs (experimental and non-experimental) in music therapy research. These improvements are at a pace equivalent to that of peer research conducted by other health professionals. In Phase 2 (2015) an update is provided for those under age 22 and also includes studies evaluating interventions for adults (22+). “Using music as part of language training” is listed as an established intervention and “Music Therapy” is listed as an emerging intervention. The project explains that emerging Interventions are those for which one or more studies suggest they may produce favorable outcomes. In conclusion, music therapy is an evidence-based practice and the amount of research data is increasing steadily in response to clinical demand. The use of music therapy as practiced by music therapists with nationally standardized education, training and credentialing qualifications has been highly successful in treatment of ASD. 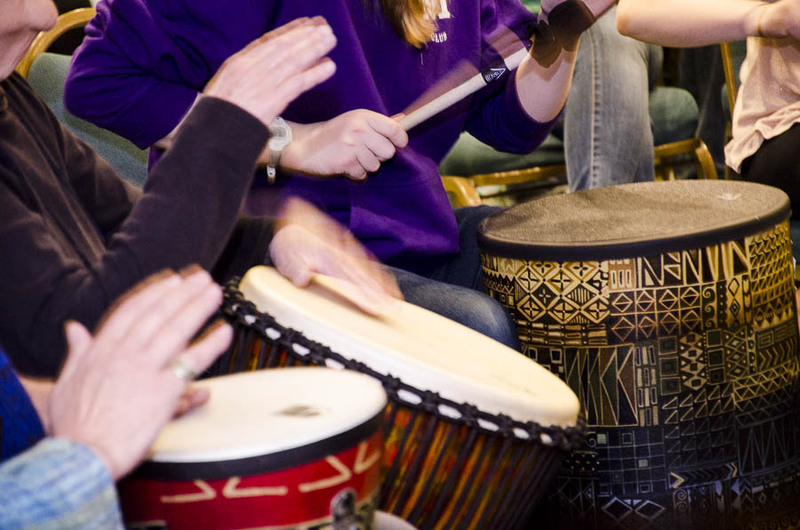 Music therapists typically work as part of an interdisciplinary team and are able to work within differing theoretical backgrounds. Finally, music therapy interventions are client centered, not methodologically centered, which make this treatment option simply different than other approaches, not less than. I invite your response and welcome a continuing dialogue.